Double Clasp 1.9" Enamel Pin. Limited Edition. Mark Pingitore is an illustrator/animator who created the artwork for over 100 Garbage Pail Kids card fronts as well as concept work, sketch cards, and paintings for various other trading card series. 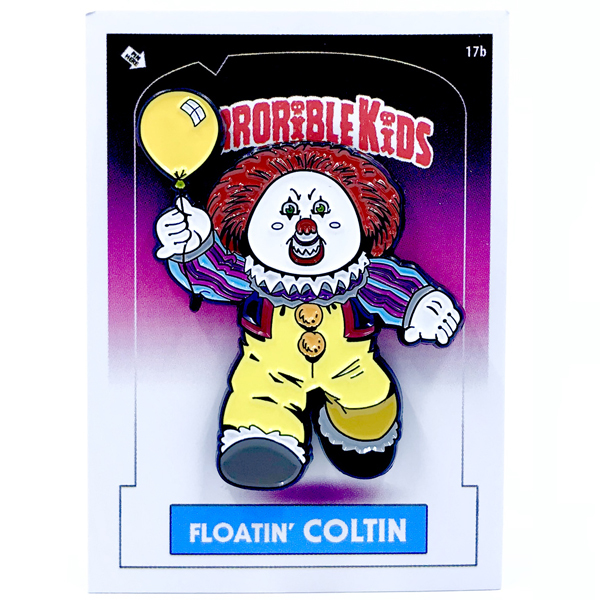 More recently, he has gone off on his own releasing independent series inspired by 80's pop culture, including Disasters of the Universe, Horrorible Kids, G.I. Jokes, and Mutagen Canister Kids.